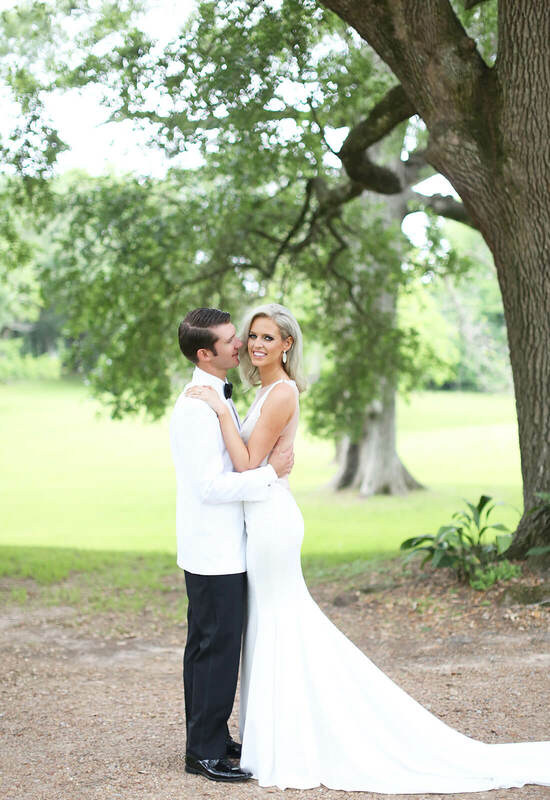 The setting, the gown, the love – everything effortlessly flowed together as Alyssa and Charles Middleton wed on April 22, 2017 at the Dunleith Historic Inn in Natchez, Mississippi. 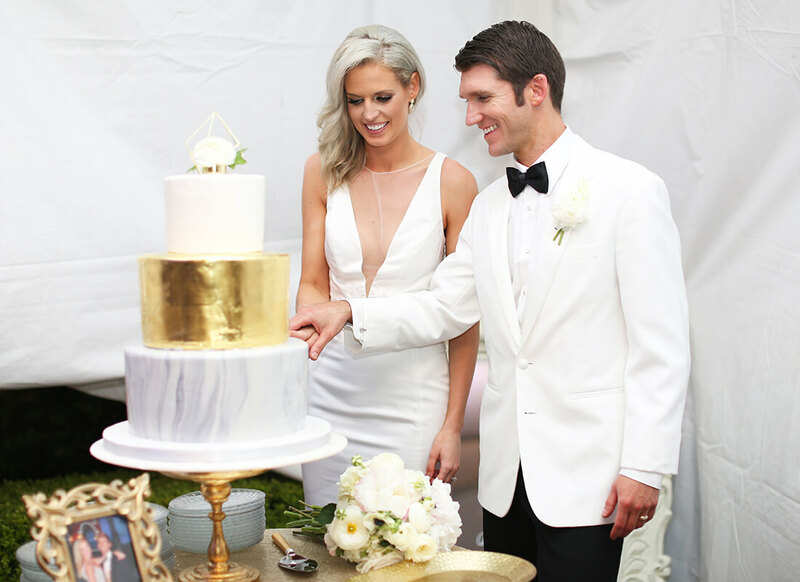 Evoking old Hollywood glamour for their special day, elegance could be found everywhere that day, especially when it came to Alyssa's wedding dress. Living in New York at the time of her engagement, Alyssa knew that she wanted to go dress shopping at the famous bridal salon, Kleinfeld. Therefore, Alyssa's loved ones flew out to New York to visit the salon with her in search of the perfect gown. Alyssa knew before her appointment that she was looking for something elegant and backless. After voicing her wishes to her gown consultant, the consultant immediately headed for the Pnina Tornai Boutique knowing that no one did a backless dress quite like the famous designer. The consultant grabbed a handful of gowns for Alyssa to try on hoping that one of them would be the one. Alyssa tried on all of the gowns, but the gown that she walked out of the dressing room in was truly something spectacular. As she crossed the showroom to show the gown to her friends and family, everyone stopped what they were doing and immediately turned to watch Alyssa in the gown. This reaction was all that Alyssa and her group needed to confirm that this gown was the one. The gown that had stunned them all was a mesmerizing fitted sheath gown with a deep V-illusion neckline and low illusion back from the 2017 LOVE by Pnina Tornai Collection. This gown had exactly what Alyssa was looking for in a wedding dress. It fit the old Hollywood theme that she had envisioned for her wedding day. It was backless just like she wanted while still being very classy due to the illusion material and crystal embellishments at the top of the back of the gown. 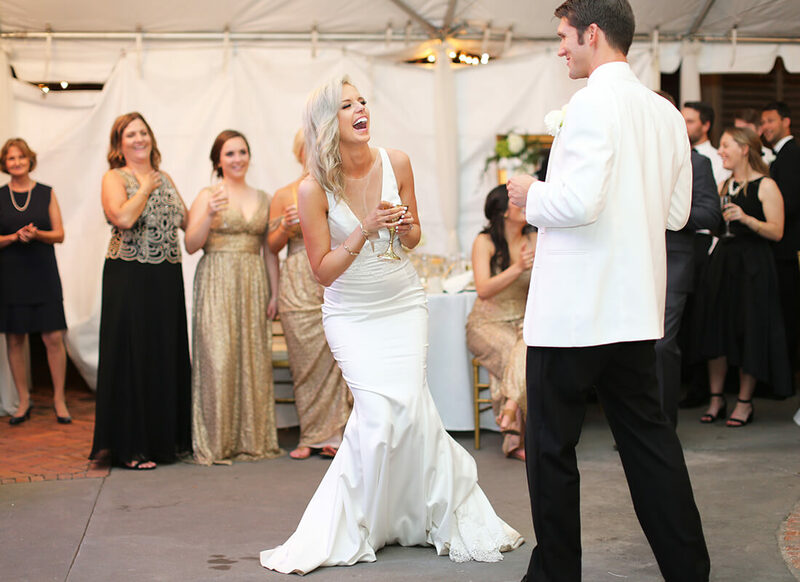 Plus, in Alyssa's mind, she knew that her husband's jaw would drop when he saw her in this knockout gown. To top things off, at the consultant's suggesting, Alyssa got to meet Pnina Tornai herself while wearing the designer's gown! Alyssa said yes to the stunning and chic gown that had caused all eyes to be on her. There was so much to love about this dress, the main thing being that it so effortlessly fit into her old Hollywood theme for her wedding day. 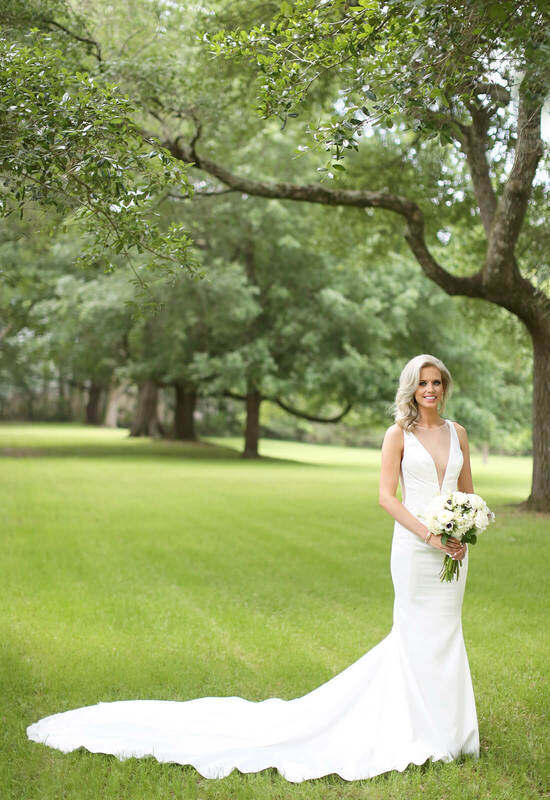 Wanting everything to be elegant and glamorous, Alyssa's gown needed to live up to the grandeur and style of the day. The fit was ideal since it was comfortable for her to be in all day and matched the type of refined elegance that she was going for. 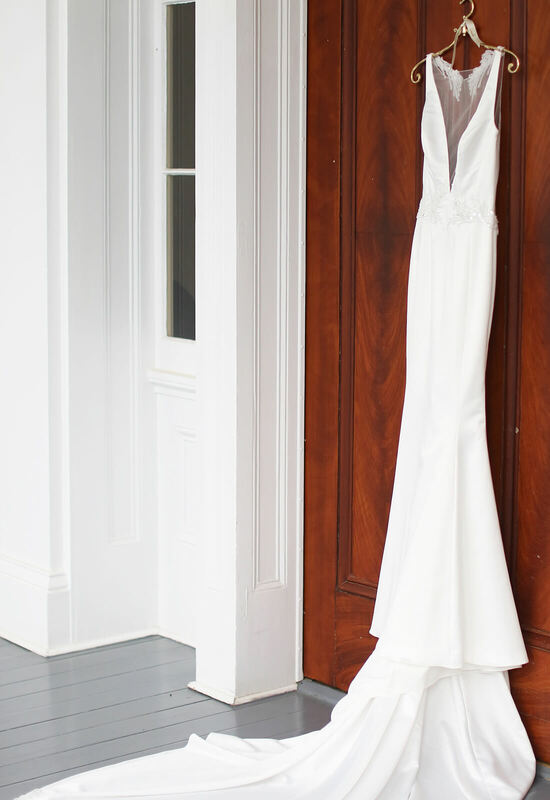 All the details about this gown came together in a way that made it the right choice for Alyssa. Initially wanting a backless gown, the illusion back of the gown she chose ending up being so much more functional throughout the day. Alyssa could walk around all day and dance all night without having to worry about constantly adjusting her gown. The bling on the dress was subtle but added the right amount of sparkle that her gown needed, especially when standing next to her shimmering bridesmaids. To add to the sparkle, Alyssa wore lovely Kendra Scott earrings that her husband gifted her for their special day. With her look complete, this dress delivered on the “wow” factor. “I wanted something that when I walked down the aisle people went WHOA,” explains Alyssa. 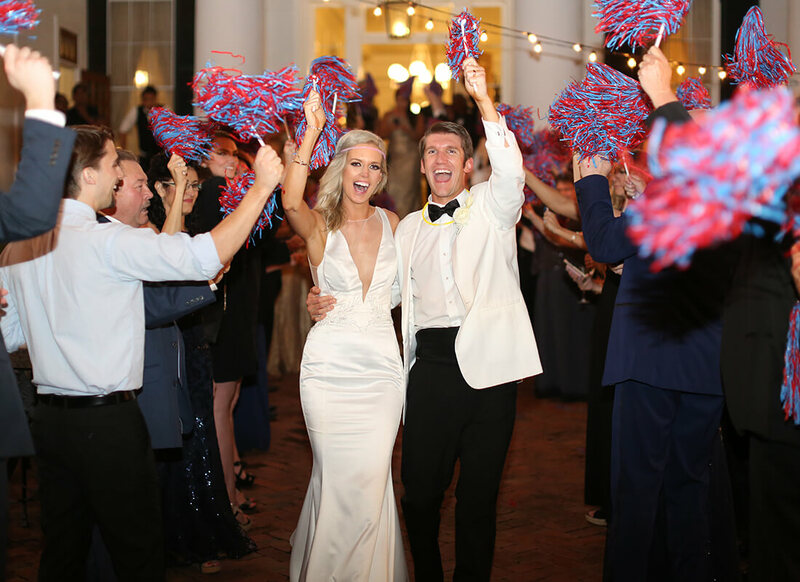 There was certainly no shortage of “whoas” as Alyssa walked down the aisle. Alyssa felt like a movie star that day which was how she had always dreamt she would feel on her wedding day. Looking back at her photos of the big day, Alyssa loves how well the gown photographed and still reminisces on how glamorous she felt in the dress. Just like the movie stars of old Hollywood, Alyssa's look will always been timeless and in style.